Russia’s first Avangard regiment will assume combat duty in 2019, according to a Russian defense industry source. 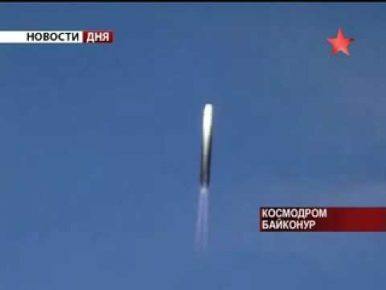 The first Russian Strategic Missile Forces regiment armed with a new hypersonic glide vehicle (HGV) — the Avangard (Vanguard in English) hypersonic boost-glide warhead — will be operational in 2019, according to a Russian defense industry source quoted by Russian state media. The regiment, part of the Dombarovskiy (Red Banner) missile division based in the Orenburg region in the south Urals, will be armed with two SS-19 ICBMs. This number will be increased to eventual six SS-19s. A second regiment also consisting of six S-19s fitted with the Avangard HGV will be stood up by 2027, according to the source. Russia currently possesses around 30 SS-19s with an unknown number in active service (a source cites 10 to 20). Notably, according to the source, the deployment of the Avangard HGV may begin without additional flight tests of the vehicle. During a speech in March, Russian President Vladimir Putin revealed that the Avangard HGV, developed under the secret Project 4202 and codenamed Yu-71, has already entered serial production. “Russia’s industry has begun to batch-produce this system. It is yet another type of strategic weapon at Russia’s disposal,” Putin said. Given the complexity and technical difficulties that go into designing a hypersonic warhead, the 2019 induction date appears to be unrealistic at this juncture and there has been no official confirmation by the Russian MoD that the Avangard will enter service by 2019. Furthermore, the U.S. intelligence community noted in 2017 that China’s HGV warhead, the DF-17, will be the first to see operational deployment anywhere, implicitly suggesting that the Avangard will probably not make the 2019 deployment. Earlier this year, it was also revealed that the last test of the Avangard HGV, carried out in October 2017, resulted in a failure. According to U.S. intelligence estimates the hypersonic warhead may achieve initial operational capability in 2020.